Located in the heart of the most important business area of Europe and the future Grand Paris Express, the recently renovated 4-star Novotel Paris Nord Expo will welcome you during your professional and personal stays. Come discover new flavors at our gourmet bar restaurant for lunch or dinner. Every week, the Chef creates using fresh produce. Enjoy our many services, incl. outdoor pool and free Wi-Fi. With a stay at hotelF1 Aulnay Garonor A1 in Aulnay-sous-Bois, you'll be within a 10-minute drive of Paris Nord Villepinte Exhibition Centre and Aeroville Shopping Center. 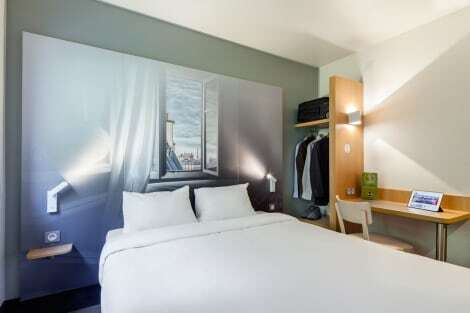 This hotel is 7 mi (11.2 km) from Stade de France and 10.5 mi (16.8 km) from Zenith de Paris. Make yourself at home in one of the 22 air-conditioned rooms featuring espresso makers and flat-screen televisions. Complimentary wireless Internet access keeps you connected, and digital programming is available for your entertainment. Private bathrooms with shower/tub combinations feature complimentary toiletries and hair dryers. Conveniences include phones, as well as desks and complimentary newspapers. 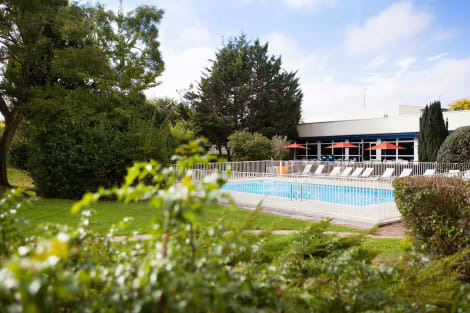 Ideally situated opposite the park and near the city centre of Aulnay-sous-Bois, the hotel offers a peaceful, warm and friendly atmosphere. The air-conditioned guestrooms are comfortable and offer modern en suite facilities. Some rooms have a balcony and all rooms are equipped with a flat-screen TV with TNT, French satellite and foreign channels. Free Wi-Fi internet access is available. The Logis Hotel du Parc has a bar that serves a variety of drinks. It does not have a restaurant, but there are plenty of good restaurants in close proximity to the hotel. The RER B train station is just 200 metres from the hotel, and provides direct access to Roissy CDG Airport, Villepinte and to the Stade de France in approximately 15 minutes. The hotel is also accessible by the A1 and A3 motorways. lastminute.com has a fantastic range of hotels in Aulnay Sous Bois, with everything from cheap hotels to luxurious five star accommodation available. We like to live up to our last minute name so remember you can book any one of our excellent Aulnay Sous Bois hotels up until midnight and stay the same night.